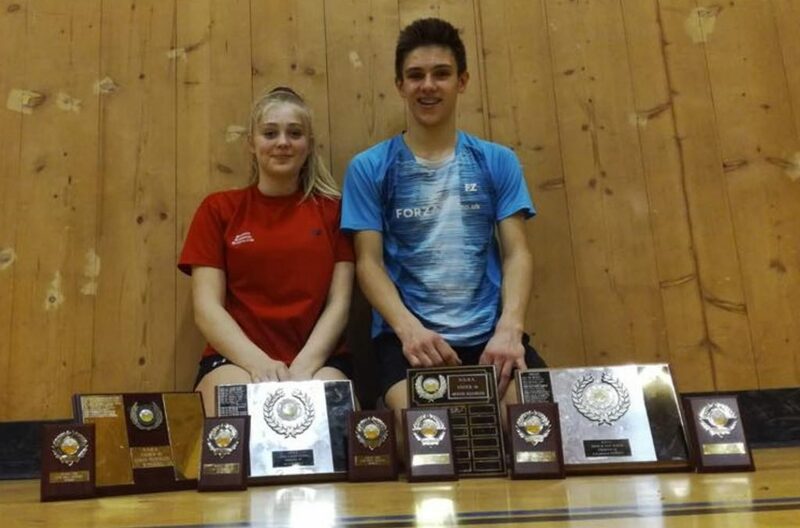 Saturday I played the U16 Norfolk 2018 school badminton championships and won the singles, doubles and mixed for the second year in a row. This means that now that I’ve finished schools badminton, I have won all 3 titles twice (in my age group and the year group above) in all age groups since under 12 (u14 and u16). On Saturday, I breezed through the group and got the final fairly comfortably where I faced my u18 team-mate and county champion for the year below me, Louis Davis. Similarly to the last county tournament I played in, the score-line didn’t reflect the intensity of the match however I managed to take the win 15-3, 15-6. I paired up with Louis in the doubles and had a fairly scare-free run to the final where we defeated Rohan Damodhar and Vikash Santhil-Kumar in a hard game, 21-9, 21-8. The mixed was fairly tough in a round robin larger box however myself and Jasmine Hudson won a couple of closer games to secure the win without dropping a set.